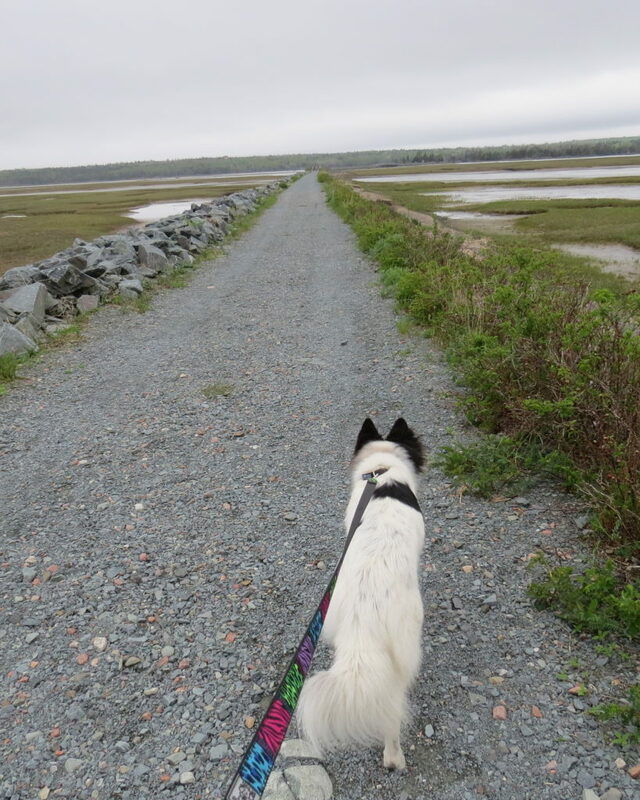 The part of the Salt Marsh Trail that borders the Rainbow Haven beach area is well travelled by cyclists, dog walkers, nature lovers, and a good variety of city folk trying to connect to nature in their downtime. It is a beautiful place to visit in all kinds of weather and throughout the seasons, and also a protected coastal system which is home to a variety of waterfowl. Me and my dog Macy doing a little walking/birding on the beautiful Salt Marsh Trail. All year round you will find American Black Duck, Common Eiders, Mallards, and Canada Geese in the waters. And in winter the Bufflehead Ducks arrive to mix things up, and often American Wigeons or even Northern Shovelers in good numbers. 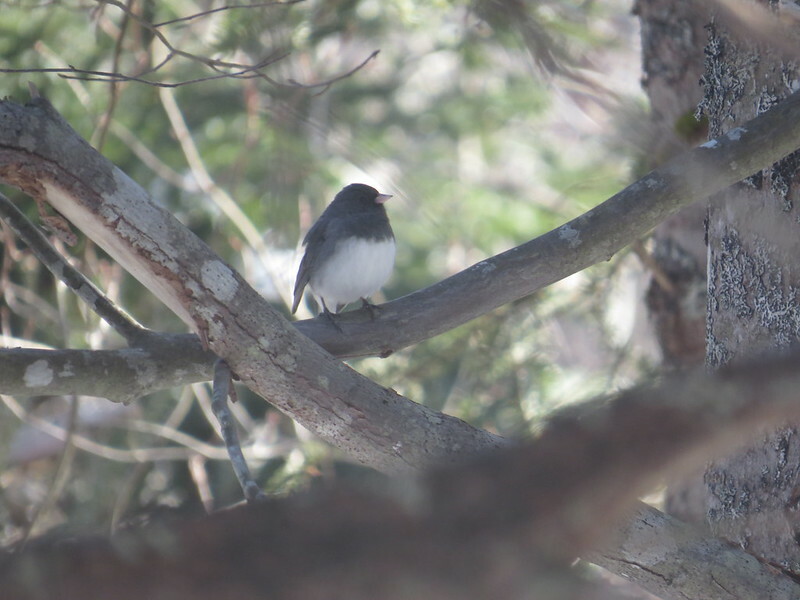 The habitat is a mix of coastal and woodland and you will also find Song Sparrows, American Goldfinch, Black-capped Chickadee, Dark-eyed Junco, Bluejays, Downy and Hairy Woodpeckers, and Bald Eagles throughout the seasons. With the arrival of spring, start looking for out for Belted Kingfishers, Double-crested Cormorants, Osprey, and Great Blue Heron to return. In summer this trail is full of shorebirds and the trail is an easy walk with a great view of them for close sightings. Some of the more commonly seen are Greater and Lesser Yellowlegs, Willets, Short-billed Dowitchers, Black-bellied Plovers, and Semipalmated Plovers, but others do turn up. Many diving birds enjoy the current under the first bridge and you can watch the Cormorants fish for hours in the summer, and the Red-breasted Mergansers doing the same in the winter. If the winter is a cold one and there is not much open water other divers such as Surf Scoters and Common Goldeneyes will also dive for food under the bridge. 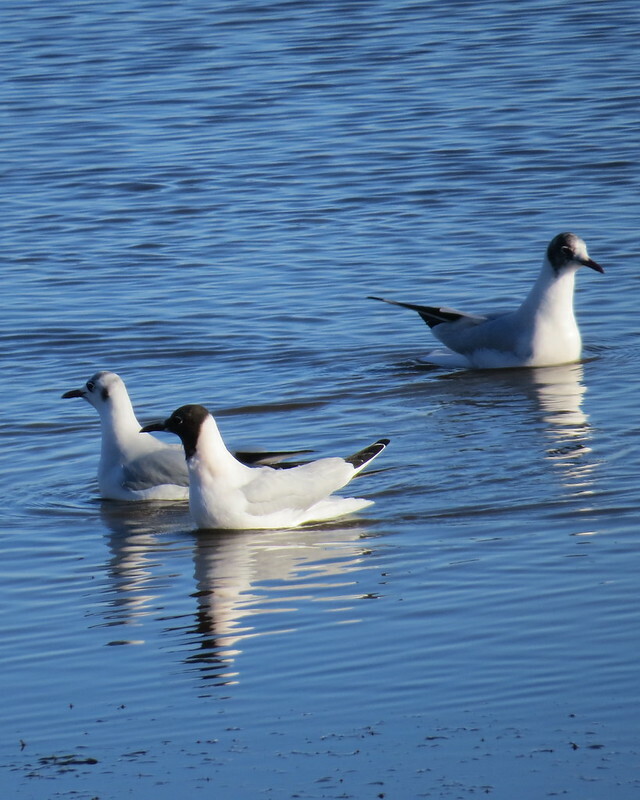 Winter also sees the arrival of Black-headed Gulls in good numbers on the trail for good sightings in February and March. As a primarily Eurasian species they are a welcome sight during the months that are sometimes considered to be less exciting in birding.